Any Road. Any Trail. Anywhere. Ready for Adventure. The Toyota 4-Runner has always been a great option for vehicle owners looking for a dependable vehicle on or off the road. Whether you are looking for increased visibility out on the trails or when you step out of your 4-Runner at night, LED lighting upgrades are a great way to customize your ride and provide increased light output where you need it most. 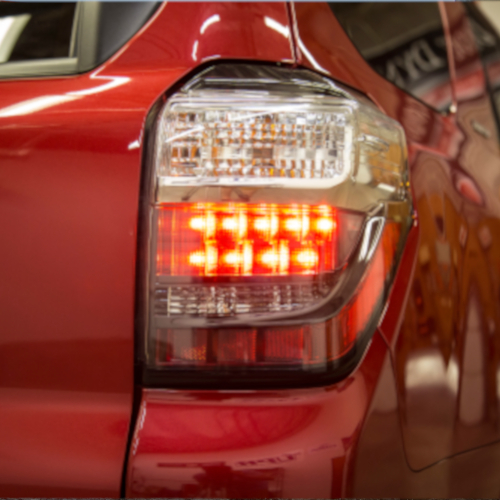 At Diode Dynamics, we focus on LED upgrades for your 4-Runner from bumper to bumper. LEDs are a great way to increase nighttime visibility and you can find our most popular LED replacements for your fog lights, map light bulbs, turn signal bulbs, and Tail as Turn module below. Sign up for our newsletter to stay up-to-date on the latest LED lighting upgrades for your 2010-2019 Toyota 4-Runner!